Does the thought of family photos give you a bit of anxiety? Will the kids cooperate? What to wear? Not dad's thing? Not feeling your best self these days (that's probably because you're being an awesome mom by the way)? Did you know family photography helps raise children with stronger confidence in their own worth and abilities? Oooh - tell me more! A revealing study was conducted in 1975 with a group of fourth graders at a Tennessee school by Tulane University. During a five week period, the children took Polaroid instant photos of themselves with provided cameras in a variety of assigned poses, compositions and expressing various emotions. The children worked with the printed images of themselves and created scrapbooks once a week over those five weeks. Testing of the students and teachers at the conclusion of study revealed a significant increase of 37 percent in the students’ average self-esteem behaviors. This Murfreesboro Study shows some evidence personal photography of children seen and enjoyed in a specific way can help boost a child’s self-esteem. We love offering easy 24/7 scheduling and easy rescheduling. You'll receive tips for looking your very best with outfits already in your closet. Online prep guide perfect for reading on the go - is there any other way? Relaxing and stress-free session full of snuggles and playtime! Digitals retouched and ready to download usually within a week and included with your session. Guaranteed - if you need anything smoothed, adjusted, or tucked in just a tad. We love big family sessions! Family reunions - perfect for groups 10-40 or even up to 50. Contact Christy to schedule. 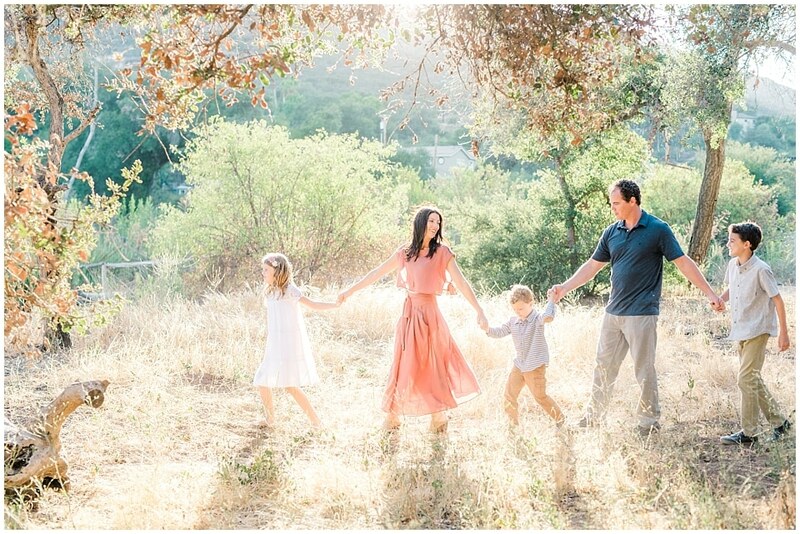 Extended family sessions are the best! These can coincide with a family reunion or a family vacation! We love doing destination sessions! The larger the group, the more it tends to be more posed shots. We focus on capturing all the large groups, and then a mini session of each family and singles of the grandkids as time allows with our group size. Perfect for a cohesive wall gallery and albums. Our most popular! 2 options and you can schedule below with our handy app! Newborns, family activities, in-home or on the go! So unique and personal to your family! Contact Christy to schedule. Documentary style with more emphasis on activities and interaction with a window of 1-2 hours to accommodate the needs of your family. Newborn in-home sessions are perfect for that snuggly little newborn phase! We focus on baby, the family, snuggles, the nursery. Great for family photos when you don't want to take the little one outside. In-home lifestyle sessions can also revolve around a family activity! Baking cookies, playing games together - just your precious family in your beautiful home! Do I get the digitals? YES 🙂 Digitals are included for most sessions (except for the occasional mini "a la carte" sessions). 1-2 weeks after your session, you'll get the link for your personal online gallery from which you can download the full resolution files (with personal printing rights). You'll have the flexibility to post, print, and archive all of your images. In addition to the web gallery, your files will be linked to the Photo Moments app (iOS or Android) for you to view your images and easily share your images via email or social media. What if my kids don't behave (meaning my kids are normal)? I'd much rather photograph slightly naughty kids than stiff, stressed out ones with cheesy smiles. The best sessions are when parents let go and are present in the moment with their kids. Remember, during your session, your children and hubby are the most wonderful human beings you've ever seen, and they can do no wrong. I want to capture that amazement, respect, and excitement that everyone has for each other (but sometimes we forget.) However, if you're not happy with our session, we may suggest rescheduling or other options. Not feeling my best self, maybe I should wait until...? Do you offer smaller packages or discounts? Subscribe to the newsletter for your coupon codes - yay! Spoiler alert - the best ones are in the spring and summer. We also have half sessions and occasionally offer mini sessions. Session sharing also welcome if you want to split a session with another family or two.. Your photos will be delivered to you with basic retouch and color enhancement. If you'll be making enlargements or doing a wall gallery or collage, I'll be happy to give the photos an extra round of retouch to prepare them the products you'll be ordering and and to make sure they look amazing grouped together. Send me a note and we can chat first. You can check dates, options and book your session here. We typically only book 60 days out, but we can hold a spot for you or pencil in a date and chat more as it gets closer. May I recommend signing up for the newsletter and let's keep in touch. Monthly updates with all the latest. Scroll down to the bottom of the page for the signup link. Outdoor 30 and 60 minute sessions available to book here. Other sessions contact Christy.